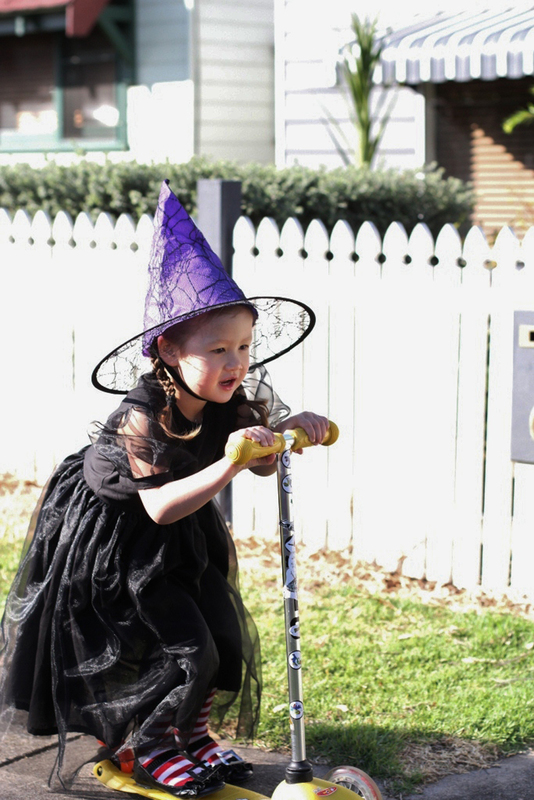 Celebrating Halloween isn't really a big thing here in Australia. Growing up on a steady diet of American sitcoms and movies, I was insanely jealous that kids got to dress up, roam the streets at night and get bucketloads of lollies. My dad is a Type 1 insulin dependent diabetic, so the only lollies in our house were for emergencies and not for us kids - probably why I have such a sweet tooth now! Retailers here are trying their best to get us into the Halloween tradition, but each year the predictable laments start about the Americanisation of our culture, which is quite funny given that Halloween is based on a pagan tradition from ye olde Europe. Anna is too young to go trick or treating so it's not something I have to take a stand on just yet, but when her daycare decided to have a spooky dress up day I started to think up some cool costume ideas - Wednesday Addams, Pippi Longstocking or the like but Anna was pretty set on being a plain old witch. Sure I could've gone and bought an outfit so plasticky it might spontaneously combust, but as an overachieving crafty mum I was loving the opportunity to make something instead. And the best bit about this diversion is that it's given me more time to think about what fabric to use for the cowl neck dress. You all gave me so many good reasons to go in many directions that I'm still mulling over the comments - thanks everyone, I knew you'd all have some good ideas. I just didn't realise there'd be so many good ideas. They look adorable! I love what you did with the witch costume... 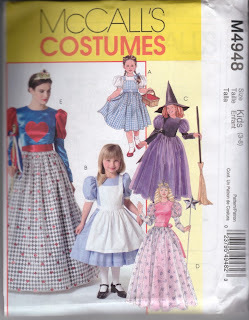 Kids here in Canada are heading out into serious rain tonight and wil definitely be wearing snow suits underneath (Oh how well I remember the misery of having to cram snowpants under your costume!). I think the southern hemisphere has much better weather right now! :) ENjoy Halloween! Long-time lurker--Your kids are so darling! I especially love the little witch outfit--she's so cute! Together, they're perfect. Well, enjoy your "Halloween"....tonight it will be snow and windchills in the double digits for my boy (we're in Alberta, Canada). Both costumes are super cute! "Happy Halloween!" Your kids looks so cute in their costumes! 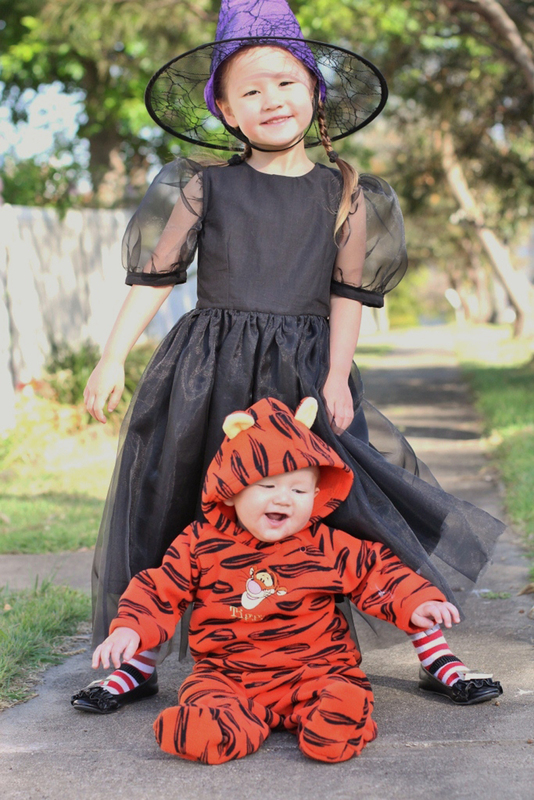 Cute outfits and Happy Halloween! They are both too cute! 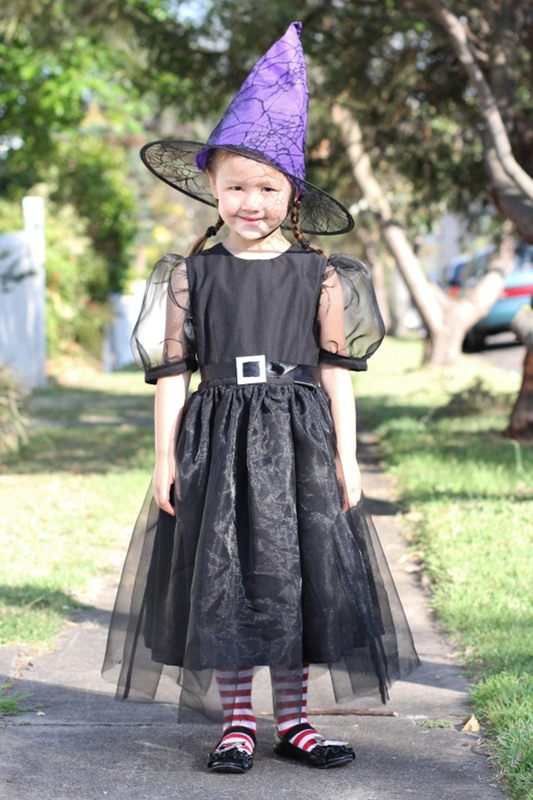 Her little witch dress is just adorable, I love the sleeves! Your little witch on the scooter made my day. So cute! 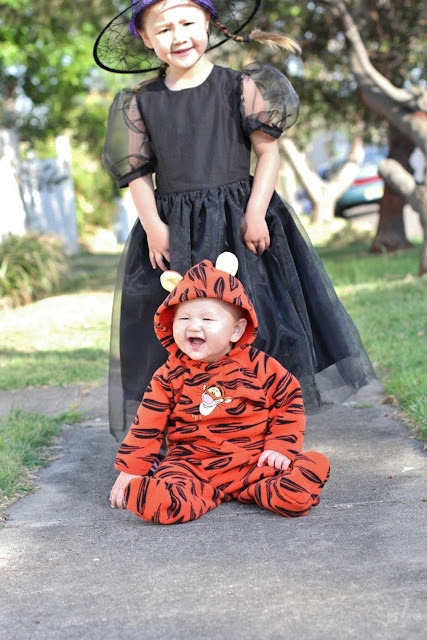 Longtime Lurker Here but just couldn't let those adorable children and their costumes go by without telling you how much I enjoy YOU and of course, them! What a joy to open your post today and see those great photos. So, so, so CUTE! My fav thing about Halloween are the kids in costumes. Funny aside about the Americanization of things. When I was in Australia I was talking to a woman about travel. She told me when she travels she just starts to crave food from home 'like KFC'. I was so startled because I think of KFC as an American fast food place. But, for an Aussie, it was food from home too! Very cute Kristy, great job with the modern witch costume! So jealous of Anna's socks! Those are adorable. Great little outfit. They're both very huggable in their costumes. Those costumes are sweet as! Very cute costumes --- and from an American --- we start our kids out trick or treating before they even walk :) All my kids trick-or-treated from small ages, my oldest was just family and friends when she was little --- of course almost all costumes were mom made :D --- just funny that you mention your kids were too young for the trick-or-treating --- so do you trick-or-treat there and what age do they start?